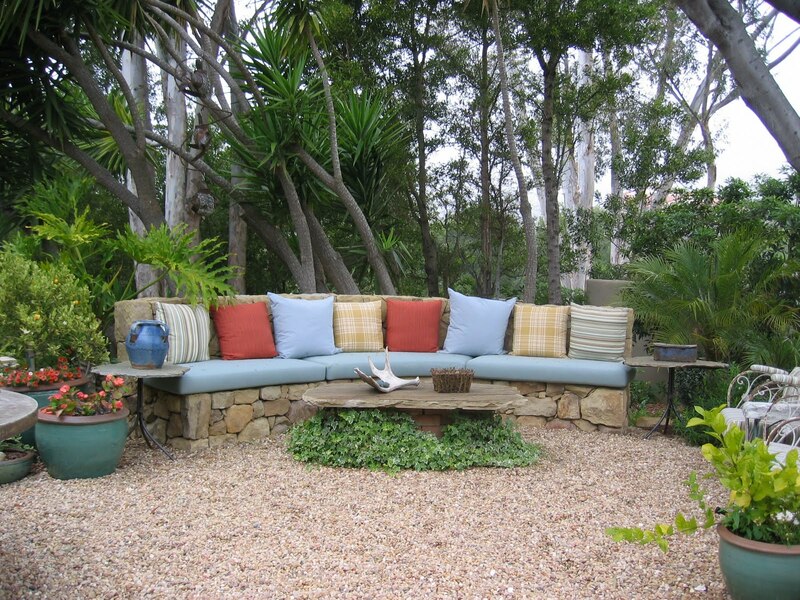 The Garden Plot: Have a Seat! Banquettes are a hot trend for the kitchen, and I have been spotting more and more outside. I spotted this Moroccan inspired bench in Dallas at the www.apld.org conference. Notice that the bench is neutral, and let the pillows and plants take center stage!